Big thank you to all our supporters! We are humbled to be perceived as being among the best in this city, and heartened that so many others share our hopes for a better world. 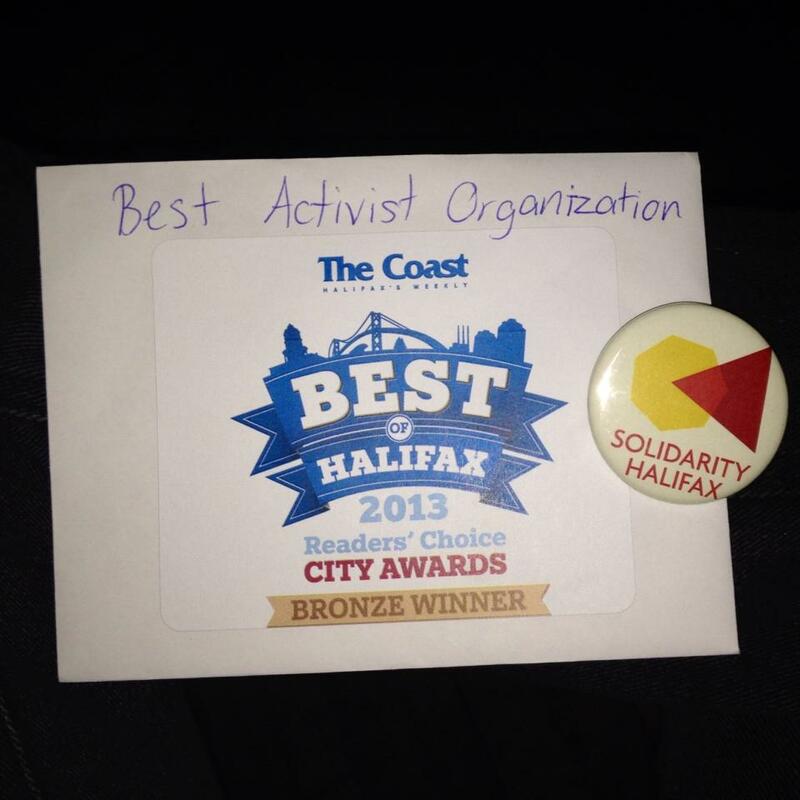 Congrats also to other winners: the Ecology Action Centre and the Nova Scotia Rainbow Action Project (NSRAP)! And a special thank you to all activists and organizations who do tremendously important work to improve our communities everyday while receiving much too little recognition.